I've been always deeply in love with natural style dreads but my drama was consisting in the PURE HATE for the crochet hook. I made only those: [link] but well... I had to! 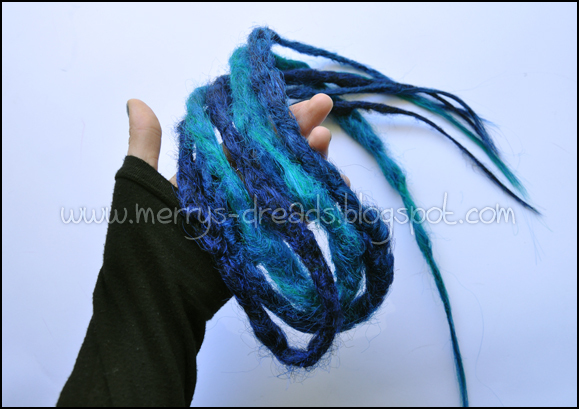 Can you imagine that color scheme as an usual dreads?! No way. But those were JUST crocheted - now I tried some new method and it was a successful attempt! I was so in shock so I made the tutorial immediately :D Check it out! Merry Merry, jakieś dredki na lipiec dałoby skręcić i doczepić? where can i buy the hair to make these?